The East Sussex sheep farmer is not the only one calling for change but today (April 8) kicks off Farmers Guardian’s weeklong focus on the devastating impact of livestock worrying and what key players in the industry are doing to get behaviours changed. 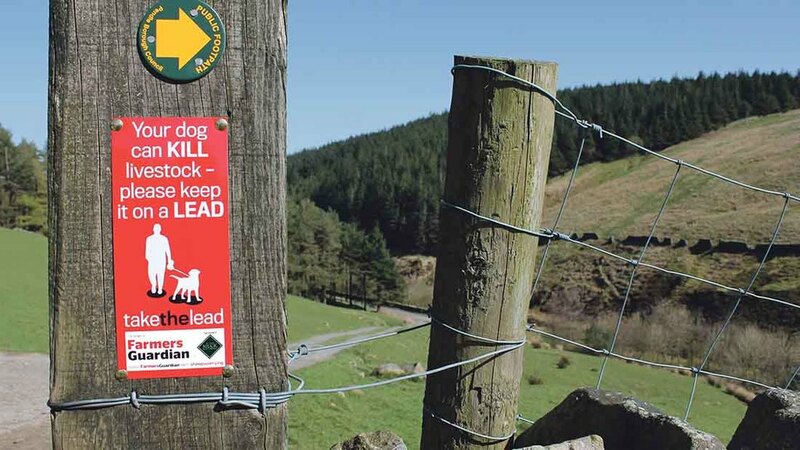 The targeted campaign also marks the beginning of the sixth year since FG launched its popular Take the Lead campaign, lobbying police forces and local authorities to take incidents seriously and help reduce the number of attacks on livestock. Speaking in a video targeted at dog owners, Mr Sandgrove said: “It is nearly lambing time and we are all getting ready, but what we do not need is dogs amongst the ewes – killing them – which increasingly keeps happening. “It is destroying farmers’ lives. Two years ago I had a phone call to say there were two dogs running with the in-lamb ewes, but when I got there it was too late. The National Sheep Association (NSA) said it was working closely with both farming and non-farming bodies to help educate the public about the risks of dog worrying, including working to support changes to the Dogs (Protection of Livestock) Act 1953. The changes, proposed by the National Police Chiefs Council rural crime team, would give the police stronger powers to prosecute dog owners and ensure more rights for farmers in the process. NSA chief executive Phil Stocker said: “NSA is further working cross industry to encourage responsible dog ownership through the year, and as well as the ongoing and positive take the lead message, a message of knowing where your dog is at all times, is being promoted. “This comes following research by North Wales Police that reveals the majority of dog attacks occur when dogs are unattended and have escaped from a garden, as against when the dog is let off a lead during a walk.